Note the similarity to the Star Wars poster. 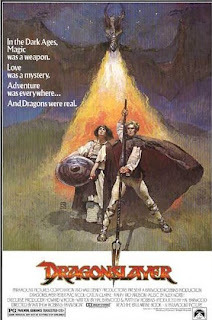 Dragonslayer is one of those films that disappointed me when I first saw it, but grew on me over the years. Perhaps, I expected a lighthearted fantasy (it was co-produced by Disney) and was totally unprepared for the grim, dark, medieval setting. 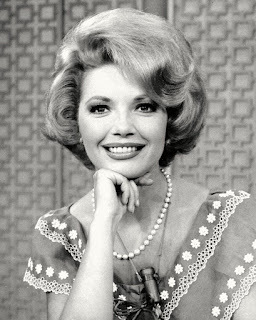 If so, then that seems ironic now, for the film’s oppressive atmosphere has become one of its most endearing qualities for me. The film opens with villagers from a faraway kingdom pleading with the great wizard Ulrich (Ralph Richardson) to destroy a disagreeable dragon. An unpleasant knight interrupts the proceedings and, questioning the old wizard’s skills, demands a test of magic. Surprisingly, Ulrich agrees and, in the process, dies unexpectedly. 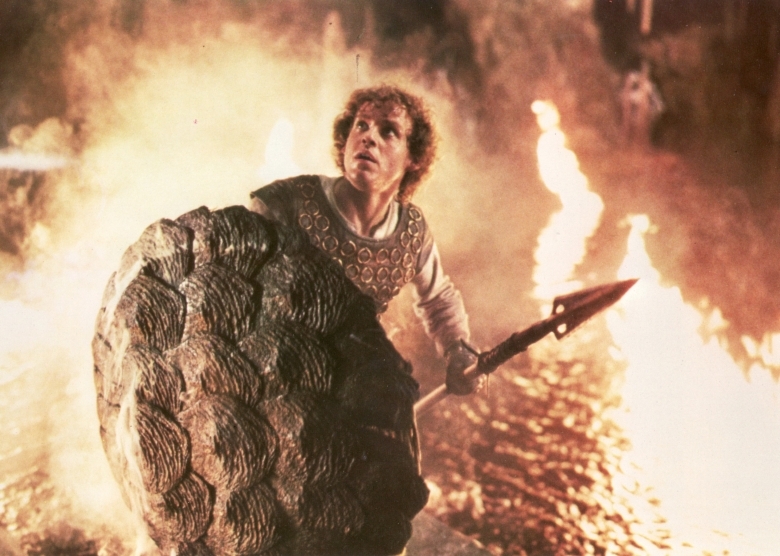 Galin (Peter MacNichol), his still-in-training apprentice, accepts the challenge of defeating the dragon. Galin’s confidence, and apparent initial success against the dragon, soon give way to doubt. In fact, doubt and change are the two prevalent themes in Dragonslayer. The king has so little confidence in his ability to defeat the dragon that he holds lotteries at the spring and autumn equinoxes to select virgin maids for sacrifice. Even some of the villagers who seek Ulrich’s aid doubt if he can truly help them. Ulrich doesn’t doubt the power of magic, but he knows that times are changing. His wizardly contemporaries are gone and he feels his time is near. As one character says: “Magic, magicians…it’s all fading from the world.” There is a new age of enlightenment on the way (symbolized at the end by the sun’s emergence from behind the moon during an eclipse). Even then, though, as we learn in the final shot, there will be a place for magic. I’ve probably made Dragonslayer sounds like a heavyhanded, symbolic film. In contrast, it’s a fantasy adventure at heart; Galin’s trek into the dragon’s lair is a tense, exciting sequence. The climax, with the winged fire-breathing creature swooping through the air, is enthralling if a bit brief. Indeed, the dragon in Dragonslayer remains an impressive creation (its horns reminding me somewhat of the demon in Night of the Demon). Dragonslayer is by no means a great film, but it improves with repeated viewings—or has so for me anyway. It was among the first of many fantasy adventures made in the 1980s (e.g., Conan the Barbarian, Krull, Beastmaster, Red Sonja, etc.). I happen to think it’s the best. While certainly not my favorite of the 80s fantasy adventures you mentioned, I must admit that my adoration of such gems as THE BEASTMASTER and RED SONJA is directly related to nostalgia, and that DRAGONSLAYER is the best made film of them all. It's also the most dramatically engaging, and that's what makes it different from something like CONAN. It doesn't quite feel like an escapist adventure, and that may be because Peter MacNicol as Galin is a vulnerable hero to whom viewers can easily relate. I agree that the film gets better with repeated viewings, and your review has made me want to watch it again! Thanks, Rick, for a superbly written post and a very fun read. Rick: You're dead on when you say it improves with age. I think it's one of the few large budget fantasy films to generate a genuine sense of unease and dread. Your list of the fantasy films from the same era set me thinking on how each of those films boasts a really first-rate musical score. So sad how so many directors today don't want thank kind of epic, thematic music for their films. The films are the poorer for it. I think "Dragonslayer" boasts one of the best dragons on film ever. There is nothing fluffy or playful about him. Peter MacNichol is quite good and very believable as the young hero who agrees to take on the righteous task of dragonslayer. I also agree that this film grows in my affection with repeat viewings. Spot on review, Rick! Loved it! 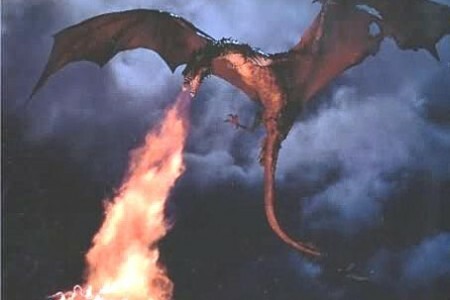 Toto, special effects technology may have improved, but this is still my favorite movie dragon. Kevin, I admire the music score, too. And, Sark, I am also a BEASTMASTER fan and not just because it's Tanya's best screen performance (really, it is...she's awful in A VIEW TO A KILL). Oh, Rick, you can't really think this is better than Conan!!! On a side note, whenever I play Dragonforce's "Through the Fire and the Flames" on Guitar Hero I think of this movie. Why, I don't know. But I do, Kim! CONAN (the first one) is OK, but there's no Sir Ralph Richardson and no Vermithrax. Plus, I love the political subtext in DRAGONSLAYER, such as when the wussy king takes credit for the slaying. Rick, I like the dragon and for the 80's he is cool. I like dark fantasy stories too. I don't care for Peter and too bad Marc Singer isn't in the lead...hey, he's hot wearing a loin cloth! As for being better than Conan no way!! I love both of the Conan movies and like Sark, I like Red Sonya, and Beastmaster...well, it has Marc (sigh) and I like the plot better too. As for the music, Dragonslayer doesn't have it. The best fantasy musical score to me is both of the Conan movies. Basil Poledouris's music is famous. I love both his Conan scores and own them. Well written review and I enjoyed reading it. I think a CONAN--the Barbarian, not the talk show host--fan needs to do a post on it, explaining its virtues. 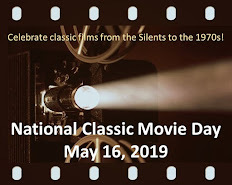 I saw it once when it was released and then only snippets on TV...it didn't leave enough of an impression to inspire a complete second viewing. But, hey, maybe I could be convinced to watch it again. How about a Cafe monthly theme on sword-and-sandal epics like HERCULES (the one with Steve Reeves), CONAN, BEASTMASTER, etc.? Rick, I thought Dragonslayer was one of the best of that genre. I agree with Toto that the dragon itself was marvelous -- very creepy, whooshing silently down out of the clouds, beautifully designed. The scene in the fiery cave always thrills me. Good article on one I think is really underrated.